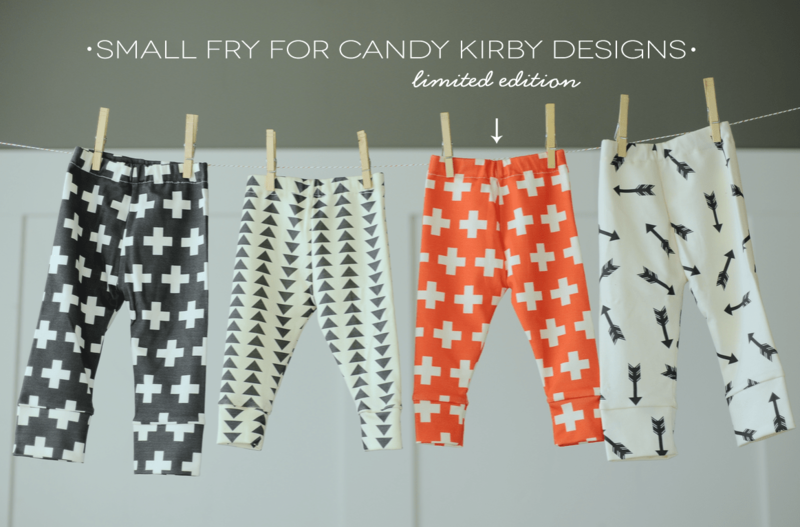 When Erin of Candy Kirby Designs (and mom of three beautiful babes!) approached us to design a limited edition pair of her amazing leggings, we were so thrilled! If you have a pair of these leggings you already know they are the most incredible quality and come in the coolest designs. We came up with the Plus Three design in Poppy, which is also her first pair of colored leggings so far! Better hurry though, this design is a limited edition and when they’re gone, they’re gone! Check out the entire legging line here, and these stellar blankets, too! Follow Erin and Candy Kirby Designs on her blog and Instagram @candykirbydesigns! We hope you have a wonderful weekend! 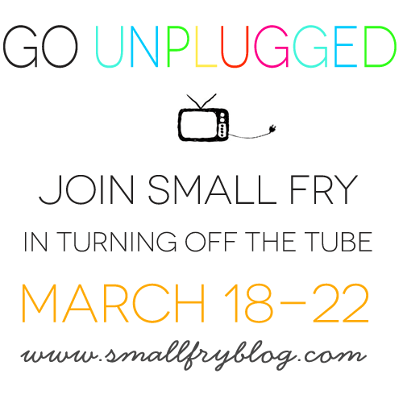 Small Fry is going unplugged next week and we hope you’ll join us! We’ll be posting ideas for playtime indoors while the TV and video games are turned off. We know you all have wonderful ideas too, so link up any posts you’ve done that fit with our Unplugged theme and we’ll share them everyday next week along with ours. Good luck to all! We’re going to need it! Very cute, (and maybe I’m alone here), I can’t abide the thought of shelling out $40 bucks on something my child is probably going to defecate on. I guess that doesn’t stop anyone from buying $180 diaper bags though. To each her own. ^^^ You’re not alone! I get that they’re hand made, organic and super awesome, but that’s more than I pay for my jeans!! And the blankets are beautiful, buuuuut for close to $100, I’ll pass. 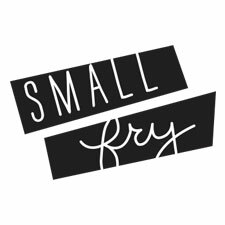 I’m all for supporting small business, but they have to be practical. My kids only stay in a size for 2 months tips and I can’t fathom spending that kind of cash on a pair of leggings for them. Even if I could afford it, it’s not a wise financial decision. Same opinion here as Annie and Adrienne–$40 for a pair of teensy pants is more in the celeb range. But the fabric is really cute, and I think stretch pants are great on baby boys and girls. Yes, it’s the blessing and curse of hand-made; a real person is spending time making something, and you’re paying for materials and labor. I already ordered the black crosses but I really love the poppy color. It will be perfect and festive for our trip to Denmark in July! 😀 My little one LIVES in all of his leggings. They are so comfortable and easy to get off/on during diaper changes.